Comedian Chandan Prabhakar says that he took the decision to return to the show because his friend needs him. Prabhakar had left the show after the conflicts with his friend and Kapil Sharma’s host Kapil Sharma in the past. There were reports that Kapil abused his co-star Sunil Grover in the plane while coming from Melbourne in March. 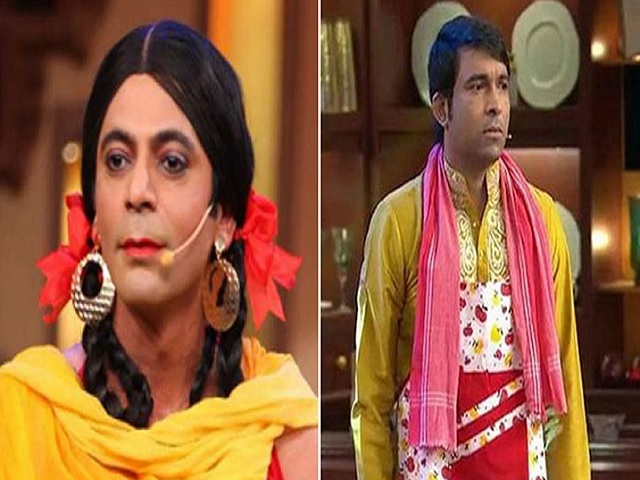 Subsequently, many members of the show, including Sunil Grover, Chandan Prabhakar, Ali Asghar, left the show. Now after several months, Chandan has returned once again to the show of childhood friend. Chandan said this is not a big decision. That was the response of some time. Now everything is right with us. I think Kapil needs me now and I should support him. They said, we are friends of childhood, and our fight has been fought many times before. But now we are working on television, so our fight is being discussed. We all fight with our brothers and sisters in real life, and it is fine too. Chandan said, due to the absence of some characters the TRP of the show has been affected. Sunil, Ali and many of us all are fans. So, when the characters we paid for the show did not disappear, its impact was on the show. There are many reports about Kapil’s attitude and egoism. Although Chandan defended his friend, he said that he is a genuine person. Chandan said, “We have worked together before, and then he used to say anything to me, I did not mind. Now that he talks to me the same way I feel sorry. So this is not their problem, it is my view that has changed. He said, when someone becomes famous, then others say that he has an ego, but people have celebrated him big. He is a true person. However, the other two famous members of the Kapil Sharma show Sunil and Ali have refused to return to the show. He said I am sure Kapil should have contacted Sunil. It is their life and their decision that they want to come back to the show or not.